sometimes i see something so amazingly simple and brilliant that i just have to share. these last couple of weeks, i've been visiting family. 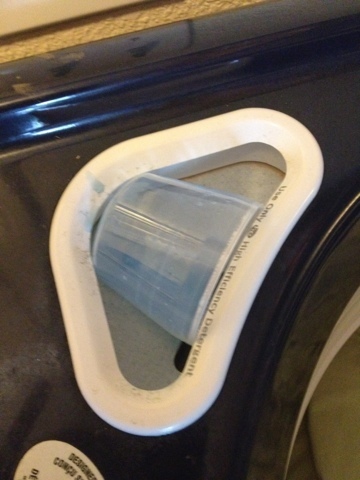 my mom had this simple solution that is absolutely genius. i couldn't help but share. if you have a simply genius idea to share, please pass it on so we can all benefit. together we can rule the world! 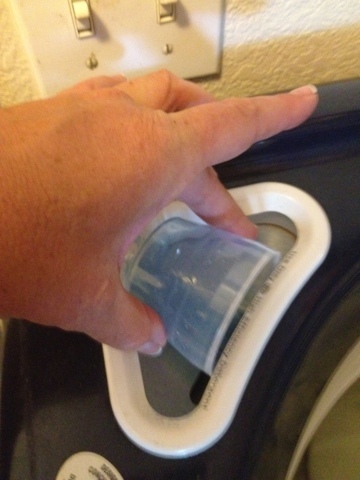 okay, so if you have a huge bottle of laundry detergent, you know how messy it can get when you use the little dispenser cup and then have to put it away. who wants to rinse it out each time? so, here's the solution. 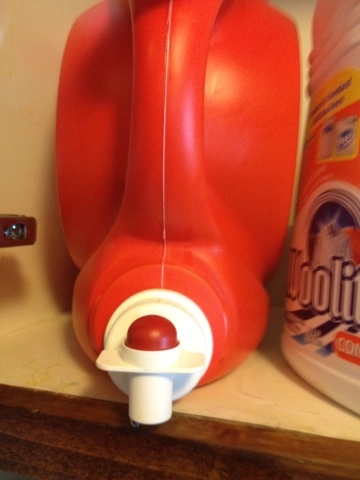 pour in your laundry soap like normal. 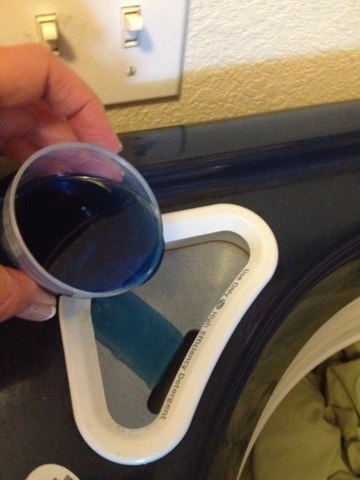 when you are finished putting in the detergent, just place the cup into the space for the detergent. 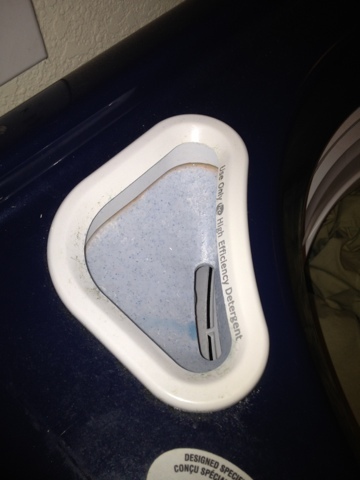 close the lid to the washer and run the machine like normal. 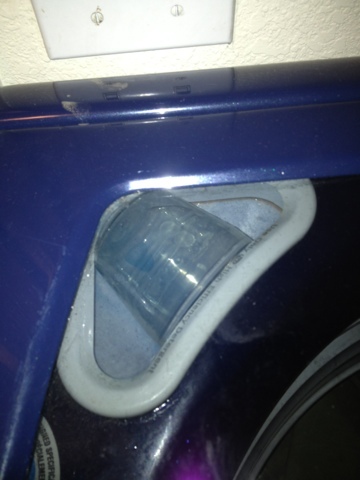 when the load is finished washing, your cup will be clean and ready for the next load. Ha...that would help! Still, even if you have a top loader...just throw the top in there! i dont' have a special cup but that's a really good tip!